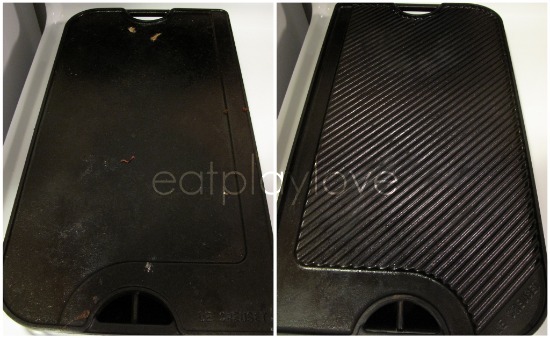 Tuesday Tips: Say Goodbye to Non-Stick Coated Pans Forever! Safe Alternatives. For years we used non-stick frying pans in our home. It was only one frying pan that we'd replace at early signs of flaking or too much wear. For some reason we falsely believed there weren't true alternatives. I was delighted when the trend turned "Green" a few years ago and a new line of pans was introduced that boasted their PFOA/PTFE (a known carcinogen that must be removed by 2015) free coating. I remember how disappointed I was when that pan stopped being non-stick in less than a month. I thought, that's it we just need to move on from non-stick. Carmen asked last night on twitter, What's a good children's book to read to my baby boy while in the NICU? I've always been quite open about hiking being my happy place. It's rhythmic, it's peaceful, it helps me clear my head. I may escape in the quietness of the trail, indulge my senses and engage my body while I'm at it. It's the one place (other than yoga) where I let go of all the things that ramble through my head. I hike at a walking pace and I'm content with that. I have friends that enjoy running with heart pumping force and losing their breath on the trail, but that's not my style. Occasionally I like to run back down the trail, but that's just a crazy rush to top off my experience. but my perspective is different each time. Yet, I don't always have a story to tell from my experience. But I always have a snapshot. Easing into our new home hasn't quite come with the luxury one would reap with a new or built in the last decade modern home. Our house is newer than our former home, by 3 years, but both were built about 50 years ago. 50 years isn't very old in comparison to many homes, but if I just stop and reflect upon what the demand was on our electrical system 50 years ago vs. today, I fret. 5 decades is plenty old enough for me! Owning an older home is where being a Jane-Of-All-Trades comes into play. I believe the audible gasp from suburban mothers was heard to the moon yesterday when they read this article in the Chicago Tribune about a ban on homemade packed lunches at one school. This story swept through Twitter and even Facebook with outraged comments and the same shared sentiment, I've heard it all and big brother is out to get us. Review with Video: Petz Bunnyz Bunch for Nintendo DS, A Dream Come True! My 7 year old daughter's favorite animal in the whole wide world is a bunny. For years I avoided the endless requests for a pet bunny, instead I'd buy her a new bunny stuffed animal or random bunny trinket. But after a while, the stuffed animals are quite boring and the requests would start up again, well until last Spring. Last year we found out my daughter is allergic to rabbits, so her hopes and dreams to finally have a bunny as a pet were dashed. I was a bit relieved because I would have no idea how to care for a bunny, but I was also sad for her. She had to let go of her dream of having her very own bunny. Then I happened upon an advertisement for Petz Bunnyz Bunch game for the Nintendo DS. Funny enough, a few days later I was asked if I wanted to review the game. I happily agreed. I was sent a copy and from the moment it was received, my daughter has been thrilled! Sometimes I feel overwhelmed by the collective accumulation of the smallest things. The tissue that fell on the floor on the way to the trash can that wasn't picked up, the wax from the cheddar cheese used to make a sandwich that also fell to the floor and became waxy glued to the floor, the shoes that can't make it four feet into the closet just strewn about my living room, a sock and washcloth just sitting there in the hallway. It all adds up to one big mess! Now I realize, all these things I am most annoyed by are on the floor and I'm 5'11" so I suppose it's no coincidence I get sick of bending over. 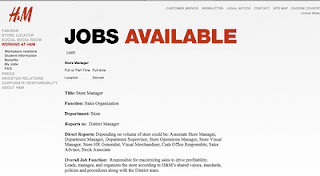 Wordless Wednesday: Hennes aka H&M Is Hiring IN Denver!!! Now we wait for the official when and where announcement, rumors in the former Lord and Taylor space in Cherry Creek! It all started with a simple update on Twitter. I joked about getting sponsorship from one of my favorite products, Third Street Chai. I was shocked when they actually responded to me, inquiring if I play a sport. Now I don't play sports, but I did tell them they can fuel some of my 200 hikes in 2011 or just fuel my daily life, I start everyday with a Third Street Chai (spicy ginger is my favorite). A light hearted conversation on Twitter turned into an invitation to come tour their facility. It hit me as I walked from my house to the trailhead, that today was the warmest day in our house since we moved in, which was just a few months ago in wintery December. 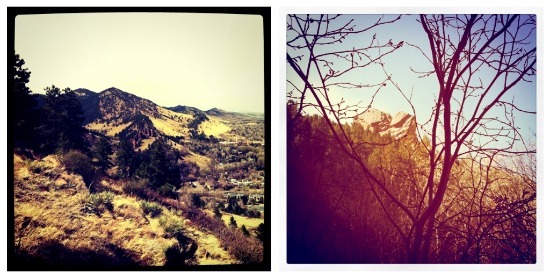 Then, the notion of "walking from my house to the trailhead" resonated in me. Unfortunately I don't have the card in my possession that holds the photos of our amazing trip to Los Angeles, but soon enough I will be uploading them and sharing! 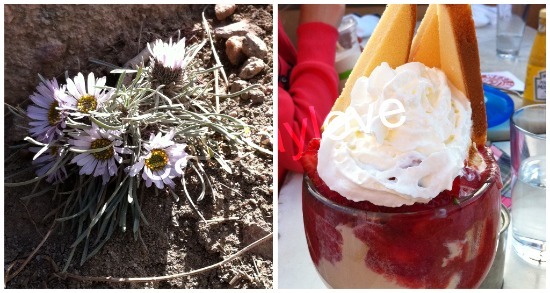 In the meantime I thought I could quickly share some snippets that highlight my trip and the real posts will follow.